We at Wizard Werks strive very hard to satisfy every customer with the best customer service and quality work. With over 15 years of experience and dealer level diagnostic tools such as AutoLogic makes us your dealer alternative shop for all your BMW repairs. We also offer major to minor body and paint work. So while your car is getting mechanical repairs we can also refinish your bumpers, door scratches, dents etc. Thats what makes Wizard Werks your one stop shop for all your automotive repairs. We also offer pick up, drop off service and cab fare reimbursement in the downtown area for our customers. Cab reimbursement up to $10 with a minimum of $100 repair service. WW has been amazing! They have worked with my extended warranty to get multiple repairs covered, including an entire engine replacement. The staff is incredibly friendly and went above and beyond to make sure I was informed and happy. I would absolutely recommend WW for any and all service or repairs for a BMW. I can't say enough about the professionals at Wizard Werks! 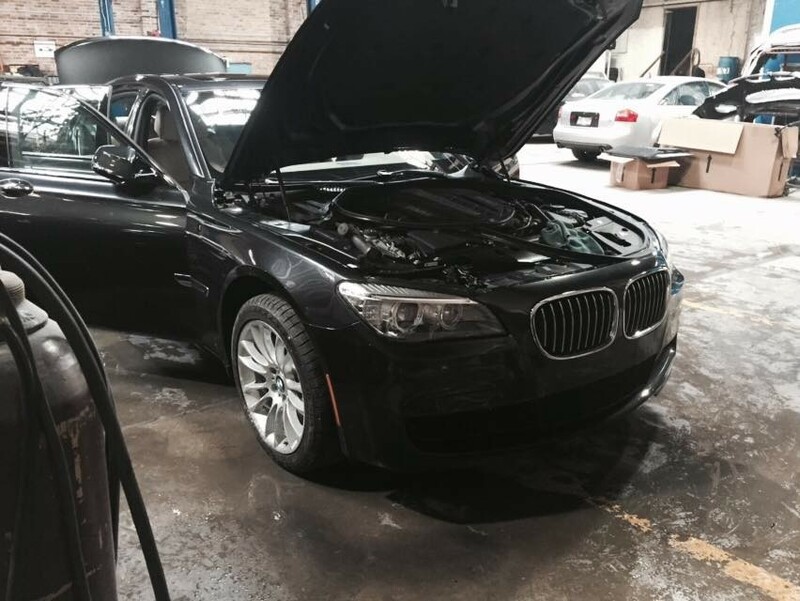 We were traveling through Chicago when we had an engine overheating issue on my BMW 5 Series over the weekend. I brought the car in first thing on Monday morning without an appointment. We had to have the car repaired that day so we could continue our trip. They completed the repair by 1:00pm even though they had a full shop with regular customer vehicles. They assured me that those customers would also be taken care of and I have no doubt they were. They even had the exterior and interior hand washed. I would recommend this shop to anyone and wish they had a location in my area! THANK YOU! Like all those before, I'm so happy I found and tried Wizard Werks. I can't imagine going anywhere else. Trustworthy, straight shooters, great value...folks who are looking to make life long relationships - this is the team here. Great experience! I'm a customer for life. Thank you for the review and the business. Thanks for the review and the pastries you brought us. I greatly appreciate it. My 2005 545I was recently leaking coolant and I was in need of a mechanic shop who can fix my car properly. The 4.4 V8 BMW motor is a little tough to work with so I was looking for a experienced shop to get my car fixed at. I tried a few local places here in Skokie and none of the local shops could give me a proper diagnostics. Some said it was the radiator and others were telling me it was the coolant pipes. So I did some research and found Wizard Werks online. Towed the car to them and with in a few minutes they called me and told me I needed my water-pump replaced. I had them do the job and the next day I got a phone call that my car was fixed. I picked up my car and got a chance to talk with the owner Karim. He was a very down to earth and knowledgeable guy. He seemed to know everything about my car and the common problems my BMW model has. Over all I am very impressed with the work and customer service Wizard Werks showed me. This shop will now handle all my mechanical work that my cars need! Heard you bought a MB E350 I hope you enjoy it. Its rare finding a shop that is knowledgeable, trustworthy and reasonably priced. When you do find such a shop, you've found a gem and you do not want to go anywhere else. I have been taking my 540 to Wizard Werks for over a year now. Thanks to the owner and staff, each and every time, I have come back impressed with the service, professionalism, and its friendly impact on my wallet. If you are looking for great shop to service your European or non European ride for that matter, you cannot go wrong with Wizard Werks. Great working with you and I will dearly miss the 540i but love your new 3 series touring. I can't tell you how much I appreciate Karim and the caring mechanics and staff at. Wizard Werks. First I took my car there for a coolant flush and brake line flush. They also found a leaky hose and fixed it all within a fast timeframe and at a very very fair price. This was a very modest price as well. The shop is clean and you can truly tell Karim likes imported cars and takes pride in his and staffs work! Thanks for the review and the business. I will keep trying hard to do good business. My BMW 3 series was leaking oil, valve cover gasket, and oil housing filter gasked was leaking. I got a quote of 1500 from the dealer to fix the leaks, change the spark plugs. Kareem gave me a quote of $500 including change of spark plugs. The car is running great with better performance. They did a great job on my car. Now I have to get brake fluid flushed, wipers, microfilter, and door locks fixed. I will be calling Kareem back tomorrow. For all your BMW repair make sure you call Kareem, his team does a great job and a low price. Thank you and hope to see you again if you need anything car related. One day I took my BMW 325i to The Dealer for its regularly scheduled maintenance. When I got my car back they gave me this superbly crafted 11 page document that explained everything that ailed my car, why I should get it fixed and that $3,000 is a small price to pay for peace of mind. Even though I have had many fine experiences with The Dealer and generally got good service, most of the scheduled maintenance and repair work was covered under warranty so I hardly ever had to over pay. Sorry Dealer, I'm no Wall Street insider, $3,000 is serious. Your tastes are too rich for me, time to move on. Determined to find a reasonably priced and reputable repair shop, I dialed up Yelp and bimmershops.com, got a list of the best reviewed repair shops and called each one looking for a price quote. All of the shops were cheaper than the dealer and generally had comparable prices for parts and labor. I ended up choosing Wizard Werks for a few reasons: First, their location is perfect for me, its pretty close to downtown (near where I work and live) so it is easy for me to drop off the car before work and pick it up afterwards. Second, and most important, Karim, the shop owner is passionate about cars (especially BMW's), is very professional, responds quickly to phone and email inquiries and stands behind his work. Thirdly, he's a one stop shop. He does complete repair work, including wheel alignment and body work. Finally, he is willing to work (and fight) with the extended warranty company that The Dealer talked me in to purchasing. I have used Wizard Werks twice now. The first time Karim went through The Dealer's laundry list. He very carefully explained what needed repair, what didn't and what, based on his experience, my 325i would need down the road. I chose what I wanted to get fixed now and he got it done that day. Not only did he do a great job on my car, I was very pleasantly surprised to get back a freshly washed and squeaky clean car! About a month later (during a 3 mile, 2 hour commute through a snow storm) I hit something which caused my brake, abs and traction control lights to light up and also caused my power steering to go all wonky. I called Karim and he looked at my car right away and let me know that after swapping out most of my power steering system they found that the rack and pinion had busted. I showed him this fancy extended warranty thing that The Dealer sold us. He worked with them to cover the rack, abs sensors and also a few other things that needed some TLC. After a few days of wrangling with them the warranty company picked up almost the entire bill. Weird! I've never had such great service from a repair shop before. I have greatly appreciated all of Karim's efforts and will continue to use Wizard Werks to maintain my car. Great working with you and your wife. I hope all is well. I'm blown away with the professionalism, speed, and quality of service at Wizard Werks! About a month ago my 3 series BMW needed a new engine, stat, and I was panicked when another shop quoted me at $7K. I did some calling around and not only did Wizard Werks quote much lower than everyone else, but they found a great quality, low cost used engine and completed the job in just a couple of days. My car is running a million times better- I'm so grateful that I found this shop! I used them again this month to have a new tire put on and again was impressed by the dependability of their service. Overall, shop has great staff, low costs and excellent customer service. I found a HIDDEN GEM in the West Loop!!! All I can say is OH MY GOD, not OMG, but OH MY GOD!!!! Wizard Werks is amazing!! I just purchased a 2004 X3 stellar condition with low mileage but I'm searching for an extended warranty plan. So, when I see a horseshoe symbol with a exclamination point and a light bulb symbol pop up on my dash....I'm nervous because I'm thinking "here are the problems, and I don't have warranty coverage". I searched for BMW shops and Wizard Werks stood out because it is close to my home and the reviews were outstanding! But me being afraid of a high cost repair...rode almost the entire day thinking should i call them? Am I ready to spend $200+ dollars on a repair and I've only had the car for 2 weeks? So I check the manual to find out that the symbols mean, tire pressure and exterior lamp out. Those definitions calmed me a little so I decided to call Wizard Werks. I spoke with Tom who was EXTREMELY nice and pleasant over the phone and in person!! Long story short...I'm sitting for NO more than 5 mins and Tom comes back and says the word FREE!!!! FREE? He said, yep FREE!!!! It was amazing because Karim was on vacation and he told Tom that it was FREE!!! I totally agree with Roxanne Hubbard's review. It feels good knowing that I can come back to Wizard Werks and be comfortable as a woman who is just trying to keep up maintenance on my BMW without being ripped off in the process!!!! I can't WAIT to speak with Karim so that i can personally thank him!! This is definitely going to be my Bimmer shop!! If you are searching for a quality shop with a retro look and good people. PULL INTO Wizard Werks!! They will take CARE of you!! Karim you are the "BOSS" and Wizard Werks ROCKS!!!! Definitely the best shop I have been to. I have an M3 and have been there a few times to get some work done. They really know their stuff and have very reasonable pricing. Karim charges by actual time it takes to do a job, not by what the book says, which will save a lot of money. He's also passionate about cars, especially BMWs, and especially older model BMWs (he's got a gorgeous red e30 M3!). He's also super cool to talk to about cars and anything car related. Wizard Werks work quickly and show/tell you exactly what they did. Every time I have taken my car in, I call a day or two ahead, bring it in on a Saturday when they open (9am) and the job is finished by the end of the day. Karim works with you to make sure you are happy with the work. Can not recommend this place more. Definitely a place you can trust to do a great job and not rip you off. I'll be going there again and so should anyone else who cares about their car and want great work done! I cannot recommend Wizard Werks enough. The service was fast and excellent. Karim is honest, took the time to explain every step of the repair process in detail, and did not try to sell me on any superfluous work. Further, he would not let me out the door until I was completely satisfied with the repairs. He even offered to continue to make free adjustments until I felt the repair was perfect. The shop is well equipped with top of the line equipment to make almost any mechanical or cosmetic repair and everyone I spoke with seemed very knowledgeable. Not only was the service great, it was about half as expensive as Perillo. I took my BMW to Wizard Werks with front end damage. Wizard Werk’s staff is very professional, and the owner/Karim is great!! He took the time to explain everything and I felt confident that I brought my car to the right shop. My car is like new. Karim worked directly with my insurance company, keeping me informed. The repairs were completed within a reasonable time. I would recommend Wizard Werks to everyone. I cannot speak highly enough about wizard werks. They're professional, straight forward, extremely knowledgable, fair, and very real with you. The perfect combination for a place i trust my car with. Seriously one of the best values in auto repair in the entire city, I should know, I have 4 cars and have used about 12 different shops in the last 6 years. This is truly the best experience I have ever had with my car. It was great to find a BMW specialist close to work (they offered free pick up and drop off BTW) and they spent at least 30 minutes with me when I went to pick up my car. Karim is amazing. He will not let single part of your car get worked on if it doesn't need it. Trust these guys! They are the best in the city. Don't take it to the dealership anymore! Quality repairs and maintenance work. I own a BMW 528i and was recently involved in an accident. I went to several shops including Perillo BMW and the estimated figures were completely outrageous! I was referred to Wizard Werks by a friend and definitely not disappointed. When I met Karim, I finally felt like I'm not being taken advantage of because I am a woman. He explained thoroughly of the service my car needed and I saved about 30% of what the other shops were estimating. During the process, Karim kept me posted every step of the way via email and phone. My car looked spectacular when the job was complete. I was very happy with the service at Wizard Werks. This is the first auto repair place I've been to that I feel I'm getting honest service. The owner takes great care in communication and is a stand-up guy. I started bringing my 2000 BMW to him about two years ago and I won't go any place ever again. Kareem is top notch. 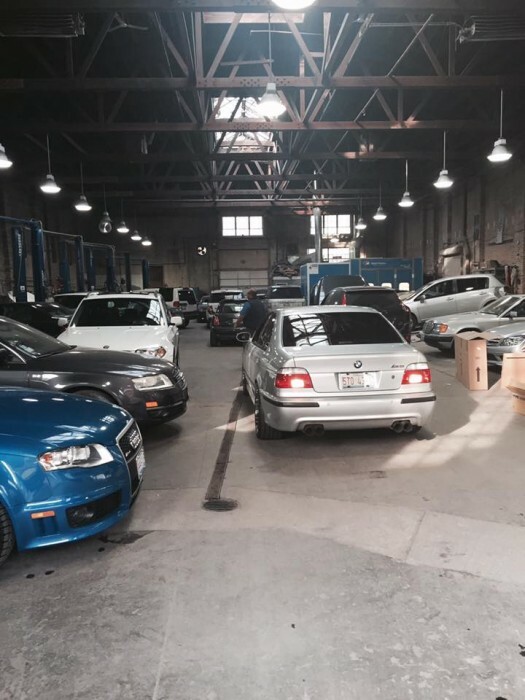 Wizard Werks is a fantastic shop and I truly recommend with all my heart that any BMW owner who loves their car entrust its health and well-being to Karim and the rest of the Wizard Werks team. I thank my lucky stars from bringing me to stumble across (literally - the streets of the West Loop were all torn up for some construction project when I first visited) this magical gem. Starting from the immediate response to my initial inquiry, submitted online halfheartedly and pessimistically; throughout the frequent correspondence during the next couple days regarding the diagnosis and treatment of my car’s particular set of ailments; until the time I returned to pick up my car - and Karim toured me around the shop, showed me the old parts he’d set aside before replacing them with new ones as needed, detailed every step they’d taken and scrolled through the before/after photos he’d taken to chronicle the operation - my reluctant trust originally forced by necessity was not only earned, but blossomed into an absolute confidence in Wizard Werks. Since Wizard Werks worked their magic a while back, my car has continued to run just beautifully, and even better than before the trouble started. It was so quiet and still that I actually - on two separate occasions during the first week after I took it home - left the engine running after I parked until finally noticing a couple blocks away that my keys weren’t in my pocket because the car was still on. This was both mildly embarrassing and downright delightful. I was also pleasantly surprised to hear from Karim a few days later, just following up to make sure everything was still perfect and I was still enjoying the car. More than ever, of course! Karim’s transparency (and generosity during a financially sensitive patch for me), honesty, and kindness are genuine. His knowledge, skill, and command of his craft are undeniable. The respect and loyalty of his team are evident from observing their interactions on the floor. These qualities in themselves are more than most could possibly dream to find in a mechanic. But what really matters most, what ultimately won me over, what makes me such a big fan and rave reviewer of the Wizard Werks establishment, is Karim’s genuine love for cars and pride in his work. I absolutely adore my little BMW, it is my baby, and anyone who appreciates it as much as me should rightly claim her as godchild. Karim is the BMW Godfather of Chicago, as far as I’m concerned, and I have no doubt whatsoever that any car brought to Wizard Werks for the supervision of its maintenance or repair is in the very best and most capable hands possible. I own a 1987 325is (e30) which I enjoy doing my own work on. However, when I needed to get some paint work done on my car I went to Wizard Werks. The paint came out looking great and the owner gave me a really good price. This shop is also fast the work was done in one day. Great shop, there is no doubt that I will come back next time I need something done on my car. I have only used Wizard Werks for the past 3 years simply because of the service, quality of work and simplicity. Ownership there has always treated my cars like if they were their own. Not only has all the work been done to the tee but the cars are waiting for me in immaculate condition. I have had Wizzard Werks do everything from brake repairs, oil changes to body work for me and they have never failed to amaze me! Thanks for the service guys! I love European Cars. I currently own an Audi A8, a Mercedes E350 4matic, a classic 560 SEC and a classic BMW M6. Needless to say, I have tried out German dealership services as well as several independent mechanics for car repairs in Chicago area with mixed results. It only took one trip to Wizard Werks for me to become a repeat customer. These guys are European car enthusiasts and their passion is German marquee. They love these cars and want them to perform as well as they look. Their work shows attention to detail and their objective is to get the car fixed the first time around. 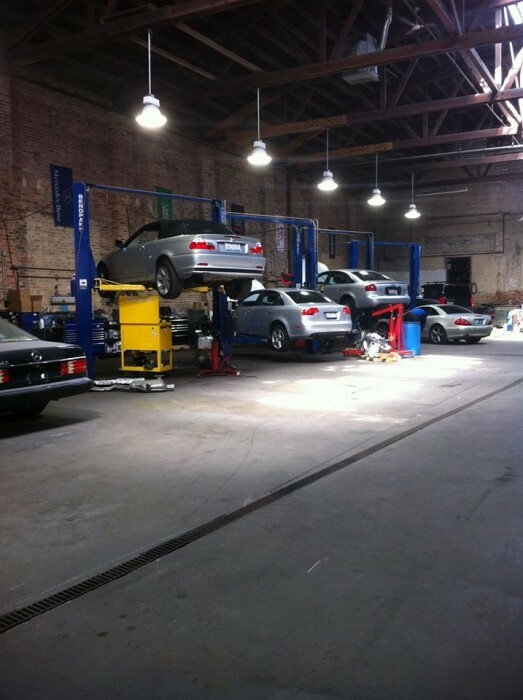 Their Honesty, Transparency and Customer Service is better than anyone in the Business and I can safely guarantee that their repair costs are most competitive among the German specialist mechanics in the Chicago land area. If you are looking for a trustworthy independent and full service mechanic, look no further than Wizard Werks. You will not be disappointed. 1) I had another shop perform an engine swap, and the transmission hadn't been mated properly to the new engine, destroying the clutch. Karim had the transmission out, clutch replaced, transmission back in, angled and mated properly... all within a day. 2) Bought another car with a bad engine, and was fully prepared for and expecting an engine swap. 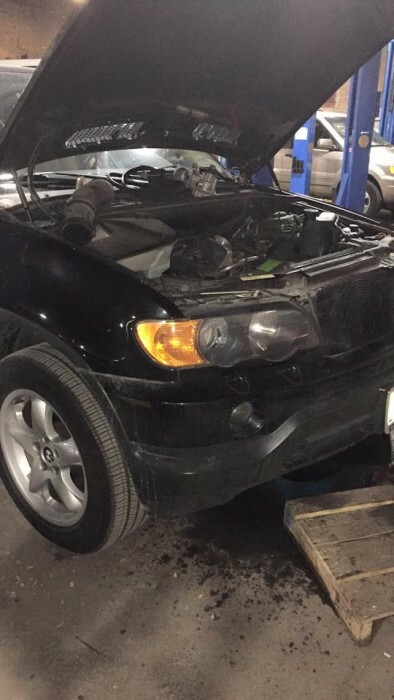 The car was owned by a BMW certified tech, and he couldn't figure out what was wrong with it. Karim, by the end of the 2nd day, had figured out all the gremlins in the original engine and fixed them. Saved me, literally, about $3,000. "Wizard" is right. For anything I can't do myself, I'm going to Wizard Werks. There's really no other option in my book. It’s exactly what you get when you take your car to Wizard Werks, a “WIZARD” working on your car. Karim and his experienced staff know what they’re doing. Here is my story…took my 07 E90 BMW 328xi to figure out what was going on with the steering, after spending a certain amount of time myself trying to figure what the problem was…still no luck. After one stop to Wizard Werks and a small test drive, Karim absolutely bulls-eyed the hitch down to the root of the problem. I was referred to Wizard Werks by a close friend and a great recommendation it was !! Wizard Werks has earned a new customer and will be servicing my car here for a long time until BMW decides to stop manufacturing these great Ultimate Driving Machines. The Best in Town !! I took my BMW 325i in for service and Wizard Works based on a friend's recommendation. I was impressed with the owner's knowledge of BMW (he knew things about that car that I did not). I was also impressed with their courtesy and prices. He said they just moved into this new location and I bet he will have plenty of business if he keeps up this level of service. Thanks! Karim and his staff and Wizard Werks are models of professionalism and courtesy. They have worked tirelessly on my BMWs since I moved to Chicago last year. The highest praise I can give is to refer close friends and family to this great shop and I do this every time I can. - Quality of work performed. There are no shortcuts and he insists on OEM BMW parts and procedures. WIzard Werks repaired and painted my 88 M3 and I get compliments from regular folks and BMW fans everywhere I go. - Enthusiasm. Its great to take a car to a shop that treats every car and customer as special. You can talk to Karim about E30's, CSL Batmobiles, even (gasp) 911's and you know he loves and appreciates BMWs, P-cars, Mercedes Benz and all things automotive. Wizard Werks spells SERVICE with a capital "S". There's no other shop like it. I own a 2000 BMW 528i which has been serviced by 3 different Dealerships and several other mechanic shops that did not render the type of service and attention that Wizard Werks gave. Karim and his staff are top notch, knowledgeable and understand the mechanics of a BMW. Karim (Owner) is very pleasant to work with and explains everything step by step and that's something that I can appreciate as a woman who knows nothing about cars. When I picked up my car, I felt very relieved and knew that I left my car in good hands. My BMW not only looks like a million dollars, but drives like a million dollars. I would like to thank my cousin Tony who referred me to Wizard Werks. I saved money and Wizard Werks has a customer for life....And the beat goes on. If you own a foreign car that needs work, please let Wizard Werks evaluate it before taking it back to the dealership, you'll be glad you did. One thing is for sure, Wizard Werks take pride in their customers and their work. I guarantee that you will never receive a more pleasant experience than the one I received at Wizard Werks! Fantastic experience!! I was looking for a used BMW in good condition for my regular get-around-Chicago car. A friend of mine located a used BMW and suggested that I take it to Wizard Werks to have the car evaluated before I decided on the purchase. What a surprise!! The staff at Wizard Werks are true professionals. Within minutes, the car was on the lift and the mechanics evaluated every part of the car. As a side note, I am a woman who knows a little about cars, but not enough to know when I have a good deal sitting in front of me. Karim suggested that I take care of some general maintenance issues, but otherwise the car was in excellent condition. I bought the car and had him take care of the items found on the punch list. So for those ladies out there looking for an honest auto service center, don’t be afraid when dealing with auto repairs at Wizard Werks, I was in great hands and will continue to go back. I would strongly recommend Karim and his staff for any of your auto repair needs. General observation: The shop was very cool and retro and I found myself somewhat addicted to the atmosphere. It’s an energetic shop for sure! Pro’s: Karim is passionate about cars and that’s reflected in his work. True professionals. Honest opinions. No run around—my kind of place! Located in downtown Chicago with easy access in case I need to drop in for oil changes and such. Con’s: None—was the best car buying experience I ever had. Thanks again for everyrthing! My experience at Wizard Werks has been phenomenal. They do a great job when working on my cars. Customer Satisfaction Guaranteed! I own 2 bmw's and an Audi. 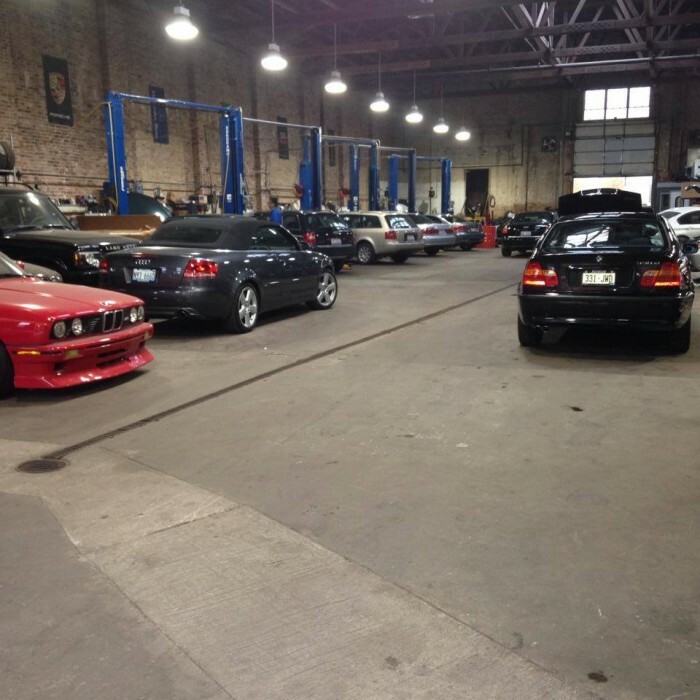 The shop specializes in European cars especially BMW's. They can work on pretty much any car though. American, Japanese, anything. you name it, they fix it. If youre tired of paying high labor charges from dealerships, think no more. Go to Wizard Werks.